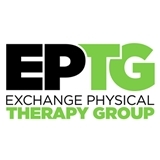 Exchange Physical Therapy Group (Weehawken) - Book Appointment Online! Conveniently located at the Transit Terminals in Jersey City and Weehawken, Exchange Physical Therapy Group is the #1 rated outpatient orthopedic Physical Therapy practice in Hudson County. Our team utilizes a hands on approach focusing on manual therapy& exercise prescription. Our 1-on-1 patient centered treatment sessions allows our therapists to give the individualized attention needed to create customized treatment programs to correct acute/chronic musculoskeletal dysfunctions. Featuring the widest range of specialties in all of New Jersey, we offer Pediatric & Children's Physical Therapy, Vestibular Rehabilitation, Women's Health Physical Therapy, Pre & Post Surgical Rehabilitation, Balance & Fall Prevention, Prevention of Injury & Return to Sports programs. Our experienced & friendly staff will make sure to accommodate your busy schedule. Open 6:30am-8:30pm & weekends! Staff always attentive and personable. Challenge with increased exercise and stretching. Explain stretches, exercises, and treatments. Attentive to detail/ positioning. Paula is fantastic, and thoroughly explains reasons behind treatment in a concise manner.